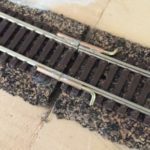 The story of three model railway layouts, one name and a lot of changes. 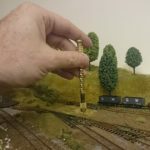 If you’ve been reading backwards through posts on my N Gauge Landreath layout, you may be wondering why the posts don’t go further back than now. Did it just miraculously appear one day? Nope. Here’s the answer. 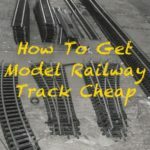 I originally set up this blog/website to chart the progress of my model railway layout and the experiences, tips and techniques I picked up along the way to help other model railway enthusiasts. 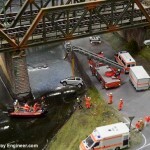 This idea still holds true and indeed, Model Railway Engineer now has a considerable number of posts and articles on tips and advice for N, OO and HO model trains, model buildings and landscaping. However, things didn’t go as smoothly for my layouts. When I first started, I had one layout in mind. Later, I stupidly decided to have a second layout for testing, experimentation and just to keep me occupied. Later still, I merged these two layouts and increased it’s complexity while also deciding on the back story for it. So after approximately 5 months, I had posts on my Cornwall Tin mining layout and the smaller Guildford sidings layout which became one and the same and also included details on the era, location and theme. All this was getting messy from a blog post categorisation perspective so I rationalised projects, ending further posts on the two above ones, removing them from the navigation bar and having just one project ‘Landreath’ which is what they turned became. 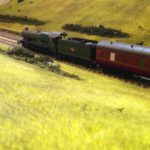 If you’ve come here from working back from Landreath model railway updates can’t find previous posts I hint at you can find these and read about the decisions, research and ideas that it originated in the correct order below. I hope this clears up any confusion and you’re able to now find some of the foundation posts for my Landreath layout.